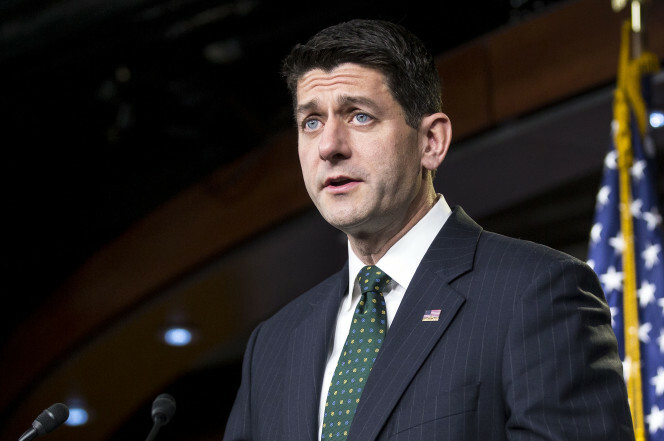 House and Senate GOP leaders cut a deal Wednesday on a sweeping overhaul of the nation’s tax laws, paving the way for final votes next week to slash taxes for businesses and give many Americans modest tax cuts starting next year. The agreement would set the top individual rate at 37 percent, down from today’s 39.6 percent, giving the wealthiest Americans a big break, sources told the AP. The corporate rate would be 21 percent — down from 35 percent but higher than the 20 percent President Trump called for — and would take effect in 2018. The deal was also expected to eliminate the alternative minimum tax for corporations. In a flurry of last-minute changes House and Senate negotiators agreed to expand a deduction for state and local taxes to allow individuals to deduct income taxes as well as property taxes — a change important to residents in high-tax states like New York, New Jersey and Connecticut. Sen. Susan Collins (R-Maine), who had previously opposed reducing the rate for the wealthiest earners, acknowledged that the negotiators appear to have agreed on the move. “I don’t think lowering the top rate is a good idea,” Collins said. Among the other tax breaks, negotiators agreed to let homeowners deduct interest on the first $750,000 of a new mortgage, down from the current limit of $1 million. The measure if passed would give Trump his first major victory in Congress and fulfill a longstanding goal by top Republicans. But the plan has come under assault by Democrats who say it is unfairly tilted in favor of business and the wealthy. Top Senate Democrat Chuck Schumer said Wednesday GOP leaders should pump the brakes on taxes and delay a final vote until Sen.-elect Doug Jones (D-Ala.) is sworn in. “It would be wrong for Senate Republicans to jam through this tax bill without giving the newly elected senator from Alabama the opportunity to cast his vote,” Schumer told reporters. Back then, the issue was a sweeping overhaul of the nation’s health care system that Democrats muscled through Congress in March 2010. Trump was making a pitch Wednesday for the tax plan, which remains highly unpopular, according to a new Quinnipiac University poll. Voters disapprove of the plan by 55 percent to 26 percent, and 43 percent said they were less likely to vote for a Senator or member of Congress who supported the plan, the survey found. Just 16 percent of Americans said the plan would reduce their taxes, while 44 percent said it would increase them. Thirty percent said it would have no impact. “American voters pan the tax plan making its way through Congress towards President Donald Trump’s desk, and warn candidates it could be a poison pill at the polling place,” said Tim Malloy, assistant director of the Q poll. But Trump planned to offer what aides called a “closing argument to the American people,” laying out how the tax changes would specifically benefit the middle-class families in attendance from Pennsylvania, Ohio, Virginia, Iowa and Washington state. “We’re getting very close to a historic victory,” Trump said from the White House.